You can update any Collection with more files at any time. Once you have Created a collection, there are a several ways you can add to that Collection. Hover over the file you wish to add to bring up Hover View. Click the add to Collection button. 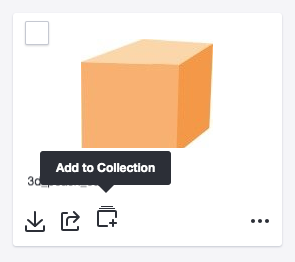 Select the collection you wish to add the file to or create a new collection. Click Assign this file to a Collection. Click the file you wish to add to bring up Detail View. Click the Add This File to a Collection button at the top of the window. Hover over the file(s) you wish to add and click the check box to select the file(s). Click Add to Collection in the upper selection bar. 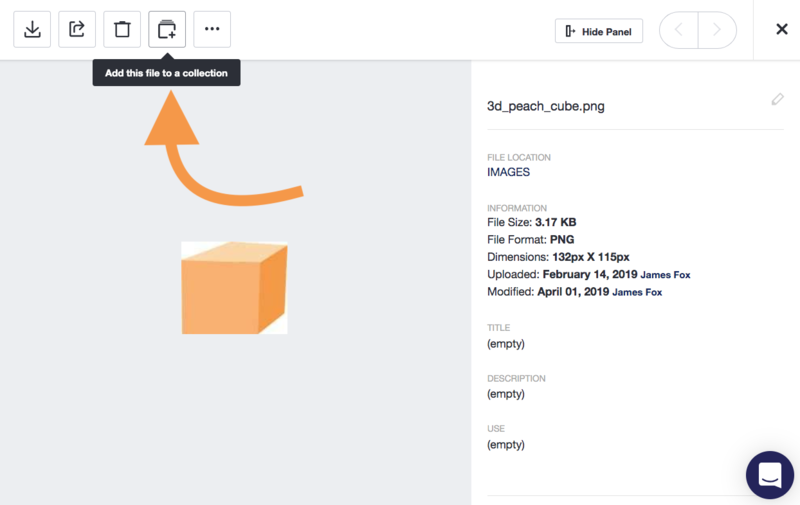 Select the Collection you wish to add the file(s) to or click Create a New Collection to create a new collection to add to. You can also add to a Collection when you are editing a Collection. Click on the collection you wish to add to. Click Add Asset in the top left hand corner of the window. 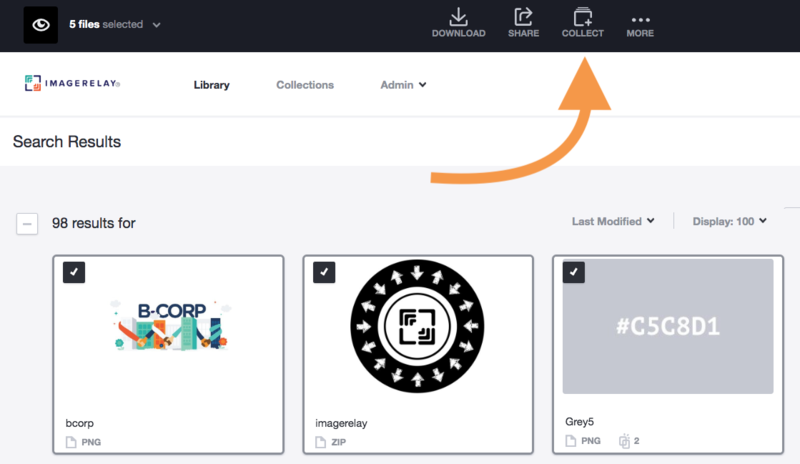 Browse through your library and check the file(s) you want to add to the Collection by clicking the plus sign in the upper left hand corner of the file. Click Done in the top right hand corner of the window.